Have You Ever Heard of an Immortal Flower? Sapa is the capital of the Sa Pa District in northwest Vietnam. This capital, though a small town, is one of the main markets in the region, and a charming place full of local culture and rich history. If you are still trying to pick your next destination in Southeast Asia, Sapa is perfect for you! The township of Sapa is considered by many as a “kingdom of the fruits,” which is fascinating because the wild flowers living there are said to be immortal – that’s right, they live forever. So while visiting the town, you’ll have the opportunity to see flowers that have been there for a very long time. In order to really immerse yourself into the Vietnamese culture, know that upon your arrival you can be arranged to stay on a homestay for the period of time you’ll be visiting. You will live and eat among locals of Sapa, as well as learn about the different ways of life. 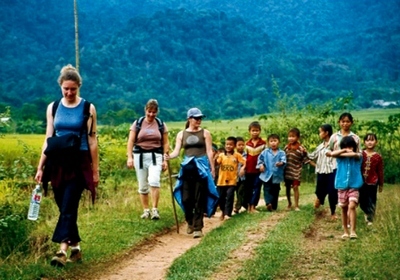 The homestay is the perfect way to experience genuine culture and get to know the people of Sapa on a whole new level. Despite being a small town, Sapa is very popular amongst tourists looking to know the Northern part of Vietnam, given the fact that it offers a wide range of cultural tours and adventure trips. While visiting this small town you will be able to take a look around the ethnic villages and learn about their traditions, hike mountains, stand in awe of amazing waterfalls and overlook the large rice fields. Sapa also happens to be one of the very few places in the country where you can see snow fall, so keep that in mind when planning your trip through GLYD! Surrounding Sapa are several hill tribe villages, and the people of these villages sell beautifully hand-crafted items and clothing at the Sapa Market. The town’s main market is a great place to spend a few hours or even a whole afternoon. Some unique things you might find include medicinal herbs, fresh cut flowers and tribal silver work. 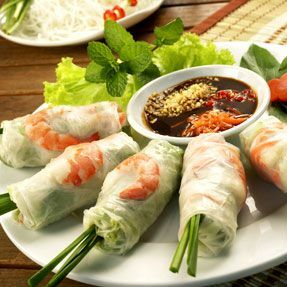 Don’t miss out on having breakfast or lunch at the market for a real, authentic Vietnamese meal! 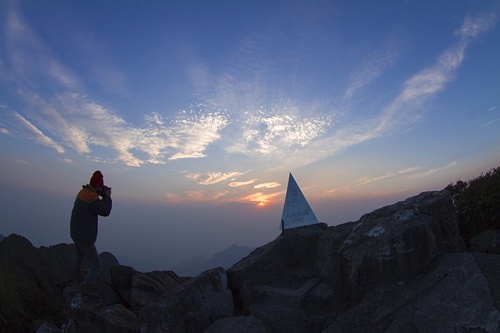 For the hard-core adventure seekers, hiking the Fansipan Mountain is one of the wildest activities you can do. The entire hike is done by foot, so don’t be surprised if it is a physical challenge. During the hike you may spot a variety of wildlife, including birds, primates and mountain goats. 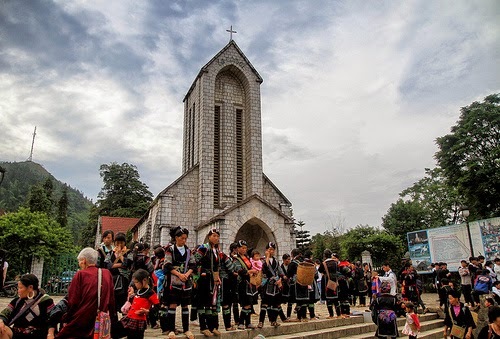 If you are visiting the Ta Phin village within the Sapa area in spring, you’ll experience one of the most amazing traditions known to the area: church singing. Both locals and tourists gather around this area to watch this ancient wedding tradition and hear the singing of the people. Small tribe villages base their unions on pre-arranged weddings, so during the church singing, the young grooms and brides-to-be participate in a procession making its way through the village, vying to attract a partner of high esteem and fulfilling spiritual needs. This is a must see local tradition unlike any other. 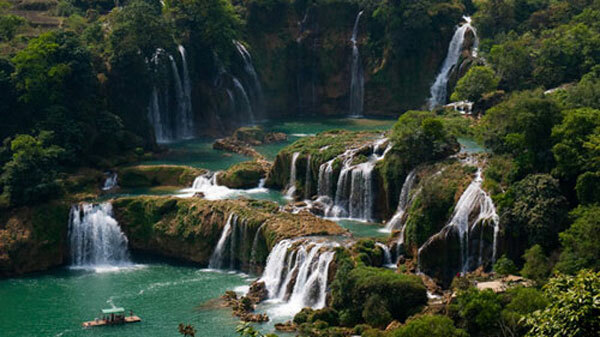 Perhaps one of the most beautiful natural beauties of Sapa is the Thac Bac Waterfall, or “Silver Falls.” The place is enveloped by a range of mountains and beautiful landscapes. The water from the falls comes from the Lo Sui Tong mountain top and locals say it looks like a white dragon peering down onto the valley. You’ll have to witness this stunning sight for yourself to find out! They may call the flowers in Sapa immortal, but the amazing culture and history you will experience while visiting this town is what will last forever.